Struggling to find freelance jobs? 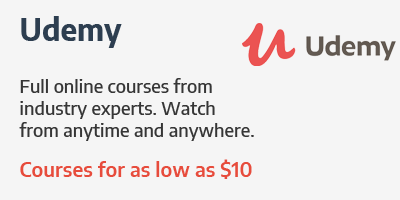 Tired of competing with freelancers on UpWork? 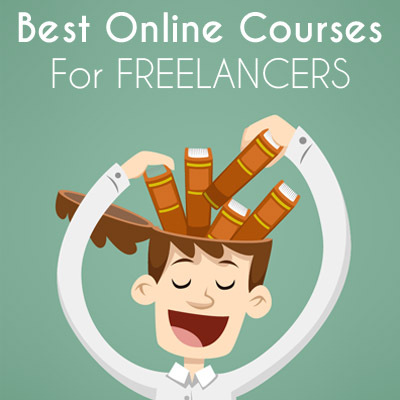 Don’t worry, by the time you’re done reading this article, you’ll have many options to find freelance work online. Only freelancers would understand the real struggle that goes on the other side of the computer screens. Despite what most people think, it’s not always a walk in the park for freelancers. One week you make $1,000 and the next week you’ve got no jobs to work on. It happens to the best of us. But, the question is: What are you willing to do about it? Are you going to wait for a client to contact you and hand over a job on a silver platter? Or are you going to buckle down and look for your next freelancing job? You’ve got to work hard to consistently find work in the freelancing world. Here are a few strategies to make that work a little easier. Instead of listing down a bunch of websites, I’ll show you how to use each of these sites and tools in this list to find you a freelance job within a few minutes. Ready to get started on your job hunt? Good, then let’s get to it! BONUS: Join my FREE email course to learn valuable tips, secrets, and expert advice on building a successful freelance career. First, let’s be done with the most obvious strategy: Freelancing sites. Find a site, register, create your profile, and start looking for jobs. Easy, right? Well, not exactly. Freelancing sites are always swarming with potential clients. Finding a job on one of these sites is easy as cake. But, most of the sites are also filled with millions of freelancers who compete with each other to land the job. So, if you’re new to this game, the key to winning is finding a fairly new freelancing site with low competition, showcase your skill set like a pro, and hypnotize your clients with a killer proposal. Check out this list full of 21+ lesser known freelance sites and pick a site that’s new and on the rise. Then read this post to learn how to beat your competition. When visiting websites, you may have noticed a link at the footer of most websites that says “We’re Hiring” Or “Careers” or “Work With Us“. These pages detail the positions currently available at a company. This means you can apply for these jobs. Visit websites related to your industry and check to see if they’re hiring. For example, if you’re a marketer or a designer, you can try visiting a startup website like Canva to see if they have any job positions available at the moment. Companies like Canva has specific sections for remote jobs as well. If you’re a writer, you can instantly land a gig by writing for a blog. That’s right! There are hundreds of blogs out there that pay people to write for their blogs. Some blogs even pay over $100 per blog post. Of course, these are well-established blogs. You’ll have to be a really good writer to land a gig on one of these sites. You can start by checking out these blogs that pay writers to publish blog posts. We all know about Behance and Dribbble as two of the biggest networking platforms for creative professionals. But, did you know that you can also find jobs through these platforms? Behance Joblist is the ideal place for finding jobs related to a wide variety of industries from copywriting to graphic design, photography and more. Dribbble Jobs board is for designers. You’ll find it always filled with jobs from reputable brands like Hotjar and Gameloft. Simply search the list, find a job you like, and apply for it. 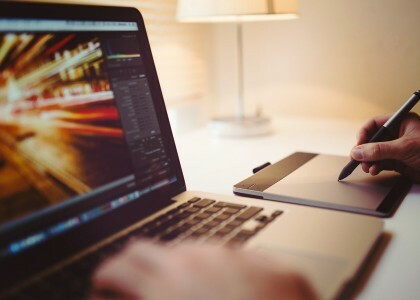 If you’re an illustrator or a designer, be sure to read this post to learn 10 easy ways to make money online as well. If you’ve got a professional profile on LinkedIn, then you should check out LinkedIn Jobs to find a quick freelance job. To find a job near your location, just select your country from the list and type in the job position you’re looking for. You can also use Posted Date and Job Function filters to narrow the search. Set the Location to Anywhere and type Remote into the keyword field to find remote work. Today, almost all the businesses around the world have a Twitter account. And when they’re looking to recruit fresh blood, the first thing they do is post it on their Twitter. You just have to know how to look for them. This is easy with Twitter’s Advanced Search tool. In the keywords section, type in the title of the job you’re seeking. For this example, I searched “designer” jobs. Use a few keywords like “Wanted” or “Hiring” to make the search more specific. And type in several hashtags like #gig #freelancer #job. Hit the Search button and voilà! Found hundreds of job listings in there. Remote.com: For designers, writers, marketers. Smashing Jobs: For web and graphic design jobs. 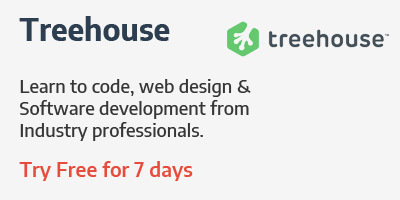 We Work Remotely: For design, marketing, and programming jobs. ProBlogger Jobs Board: For copywriting jobs. Freelance Writing Gigs: For copywriting jobs. If you can’t find anything helpful in those sites, just head over to Google and type these keywords into the search bar with the quotation marks “jobs board” “web designer” and hit enter. The results will show you plenty of sites with job boards. Replace “web designer” with your own keywords. That’s right! Craigslist is not all about rooms for rent and buying used car parts. It’s also a great place for finding freelance jobs. Here, I’ll show you how. Step 1: Go to Craigslist and choose a country and then the city that you want to find a job in. (Major cities in the US have the most remote job listings). Step 2: Then check the Jobs and Temp Jobs sections to find work related to your industry. Step 3: Type in a keyword to find specific jobs like“Wanted” or “Hiring”, just like how you did on Twitter. Step 4: After finding a job, click on the Reply button to send an email to the person who posted the job. Whoishiring submissions on Hacker News can also be a great way to find work. Pick a listing in there and post your information to attract potential clients. Or look for a job posted by a client. 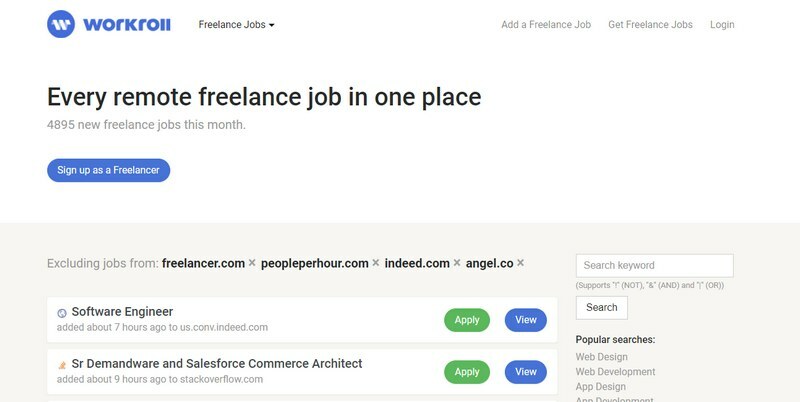 Use SEEKING WORK keyword to post your information or hit Ctrl + F on your keyboard and type SEEKING FREELANCER to find jobs posted by businesses. Facebook groups are still quite popular among both freelancers and business owners. Log in to your Facebook account and start searching. Type in the keyword for your industry and find related groups under the search suggestions or click “show all search results” to find more groups. In this example, I typed in “freelance jobs” into my Facebook search bar and a bunch of massive groups popped up and they were filled with a lot of freelance gigs. Most developers are quite familiar with Stack Overflow. The Remote Jobs section on Stack Overflow is also specifically created to list jobs related to web, mobile, and software development. You can sign up with Stack Overflow, create a CV, and start applying for jobs right away. 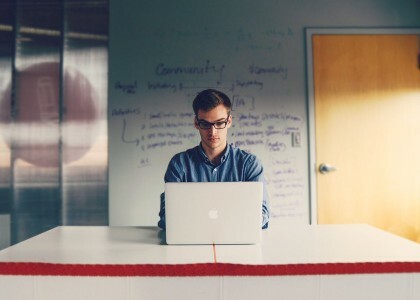 If you’re new to freelancing, then you may not be familiar with job forums. 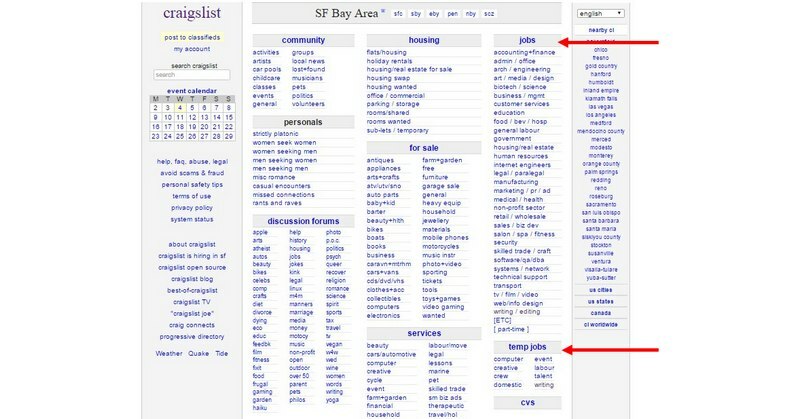 Back in the old days, before oDesk and Elance, these job forums were the saviors that gave most freelancers paid jobs. Those sites are still active and hundreds of new job listings are published every day. Sometimes, when you’re trying to find something, all you have to do is ask. There are lots of friendly freelancers out there. Most of them know a lot about the industry and great places for finding work. Heck, they probably even reject most of the jobs that come in their way because of their busy schedules. So, go find an established freelancer in your industry. You can search for them on social networks like Twitter and Facebook or browse a freelancing site like UpWork. Find their email or Facebook account and drop them a nice message asking if they could hook you up with a job. 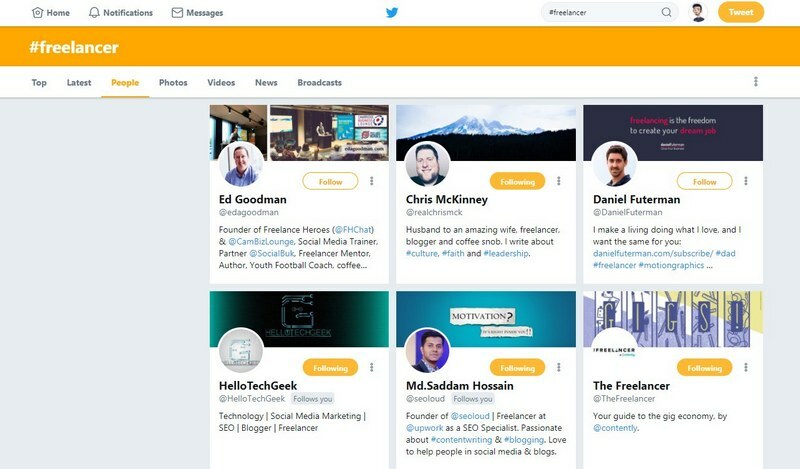 Use Twitter, Facebook, or a site like AgelList to find a new startup or a small business website, go over to their contact page and send them a casual email explaining how you can help them grow their company. I stumbled upon your website while browsing for [industry related topic] and I must say it looks fantastic. Especially the [mention a detail] looks very professional. I just happened to be a web designer as well and I couldn’t help but notice a few issues with the website’s [mention a few areas you think you can improve]. I have over 5 years of experience in UXD and web design, I’d be happy to help you fix those issues so that you can serve your customers better. Let me know if you’d like me to explain how I can help improve your site. I described the process of researching and outreaching potential clients in detail in a previous article. Be sure to read it. 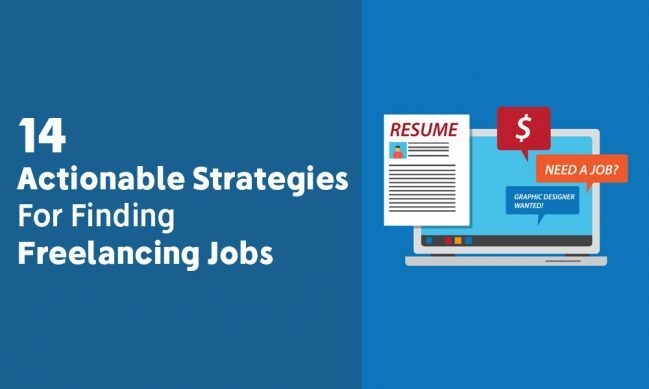 Do you know any other strategies for finding freelance jobs? Then feel free to leave a comment below and share them with the rest of the community. This is a great find. Thanks for sharing. I am web designer. This post will help me to get a job. thanks. Thank you for this great article, it’s been very interesting to read. However, I believe you should add XPlace to your list of online platforms where freelancers can find remote jobs. 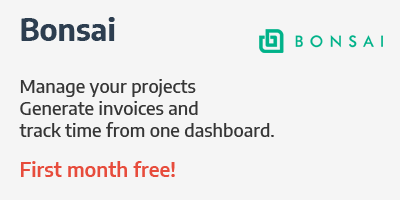 I’ve recently found a freelance finance job there and earn really high rates now: https://www.xplace.com/finance/jobs. 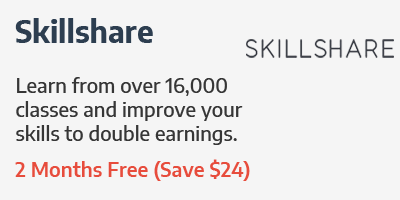 This website indeed has higher hourly rates than the majority of other ones, as well as a lot of compelling job opportunities in other areas of expertise, and no commission fee. 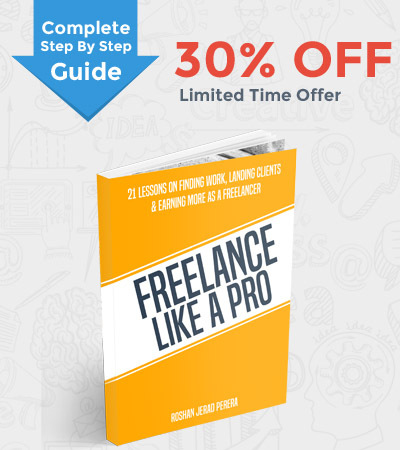 The new freelancer who are just to start working online must read your post. It’s true now the competition is so high than before in online marketplace. But skill is matter to get and complete a good project earlier. Love your post. Thank you.